Is there a Hungarian Jewish identity and does it have a future? Gábor Fináli, a rabbi in Budapest, wrote a fascinating essay in Szombat, a weekly Jewish community magazine, about what he sees as both the lack of a clearly defined Hungarian Jewish identity and the decline in progressive thought within Hungary’s Jewish community. 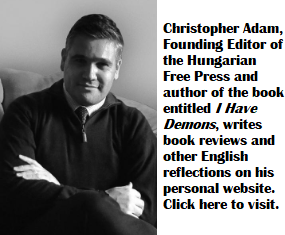 It’s an insightful piece, considering that often the starting point for any discussion of Hungarian Jews is their historically high level of integration and assimilation into broader Hungarian society, and their connection to the Hungarian national identity. Rábbi Fináli believes that the problem is the lack of clarity in terms of what it means to be both Hungarian and Jewish–the inconspicuous nature of this hyphenated identity. This poses existential questions about the future of the Neolog Jewish community in Hungary. Rabbi Fináli notes that Hungarians of Jewish origins are very often more drawn to newer religious communities than to the synagogues or communities of their parents and grandparents. Hungarians with Jewish family backgrounds are found in relatively large numbers in faith communities such Hungary’s Pentecostal Faith Church (Hit Gyülekezete), known for its vocal support of Israel and especially Christian Zionism. But Hungarians of Jewish backgrounds have also been present in proportionally significant numbers in Buddhist communities and the Hare Krishna movement. One thing that the Jewish community in Hungary could do better, according to Rabbi Fináli, is accept the fact that 80% of Hungarian Jews live in, or are the products of mixed marriages. According to the rabbi this does not have to be a loss for the minority community, but rather an opportunity to provide a spiritual home to the non-Jewish spouse. Rabbi Gábor Fináli. Photo: Szabolcs Oláh. Gyulai Hírlap. Beyond a greater acceptance of, and outreach to the large majority of Jews living in mixed marriages, the rabbi of the Hunyadi Square synagogue in Budapest also emphasises the importance of developing a more prolific cultural community life for Hungarian Jews, more active and vocal NGOs, rather than promoting Aliyah among younger Hungarian Jews. 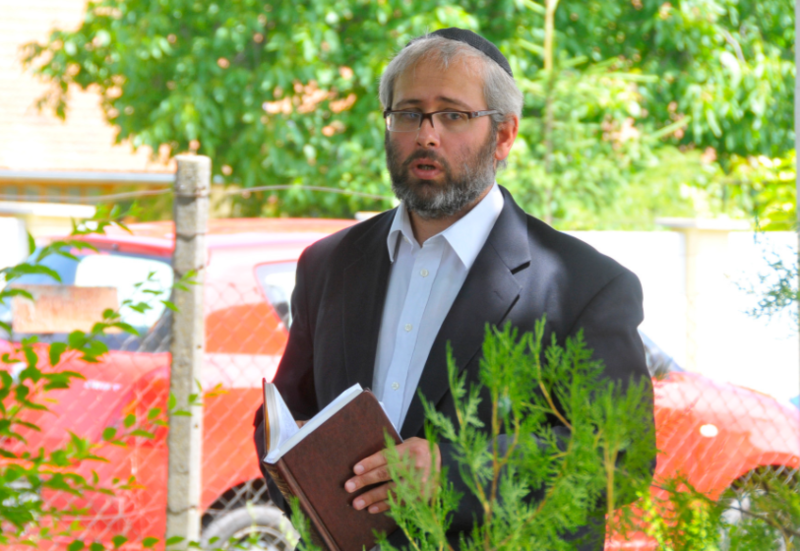 Moreover, Rabbi Fináli believes that the future of the Hungarian Neolog Jewish community is tied to building connections to Masorti Judaism or Conservative Judaism–which is closest in outlook to what is referred to as Neolog in Hungary. This, according to the rabbi, would better integrate the somewhat “isolated” or internationally “misunderstood” Neolog Jews of Hungary to a broader international Jewish culture and community. Some time in middle age, we all humans face such a question. But may be the rabbi needs to reinforce his own personal faith. Yes, we had, and have a very strong identity, and have a future too. Or at least the younger generation. Need to keep in mind what we have gone through in the past. Yes, there were ups and downs. The downs I do not intend to remind any body. Just think of the past, what Hungarian Jews have accomplished back in the 1860s. Otherwise there would be no Neologs today. Even Ferenc Jozsef sided and supported the movement. Made it possible for the building the largest and most beautiful Synegoug on the Eurasian continent. Instead of a Yeshiva, there is today the Jewish University at Dohany Street. The Temple Emanuel in NYC is a copy of the Dohany Street Synegoug. None of that would exist in case our encestors had not enough faith, guts and hope. So cheer up rabbi. The son will rise and every one will see a new day again and face its challenges. I have read that there is much Antisemitism in Hungary. Yes, out-reach to those of us who are less than traditional, but wish to live by, and wish our children to live by, Jewish values. Yes, let’s see those values voiced without fear — and let the anti-Semites be named and shamed when they pick on us for being ‘Jewish,’ rather than of a different opinion. I was there in the summer – unless one is orthodox – no future for a Jew in Hungary! Assimilation, eating non kosher, no circumcision because the goyish wife and family are against it, so what is Jewish in such a person? The fact that they eat a bagel and lox now and then? Or I should say: a bowl of chicken soup and a Hanukkah gift along with the Mikulas? It’s one big graveyard! From the Ligeti plains, to the airport, to Mad, Kassa, Erdely,all gone. Really time to go to Israel, the USA or Canada!